Leo Fender was an American inventor who founded Fender Electric Instrument Manufacturing Company, or for short “Fender”. His electric guitars are an iconic part of Rock and Roll culture. The best part about this story is that he was born in Anaheim, CA (where I grew up) in 1909 and raised in Fullerton (where I currently reside and operate a business). He graduated from Fullerton High School in 1928 (the school my oldest son currently attends) and had his first guitar shop 0n Harbor Blvd. in Fullerton. It’s ironic how my boutique is literally down the street from where his shop used to be. Not only has he changed the way rockers rock, he was inducted into the Rock and Roll Hall of Fame in 1992. Fender guitars are still being manufactured today in Corona, California (Leo was a strong supporter of USA made products) and many great musicians like Eric Clapton and Eddie Van Halen (just to name a few) will only perform with Fender. His legend continues to live on through fashion. The company recently inked a deal with Dragonfly Clothing for the Fender license and approached me for an exclusive in Fullerton. We are thrilled to be partnering up with Fender and are privileged to keep the Leo Fender name alive in his very own town. 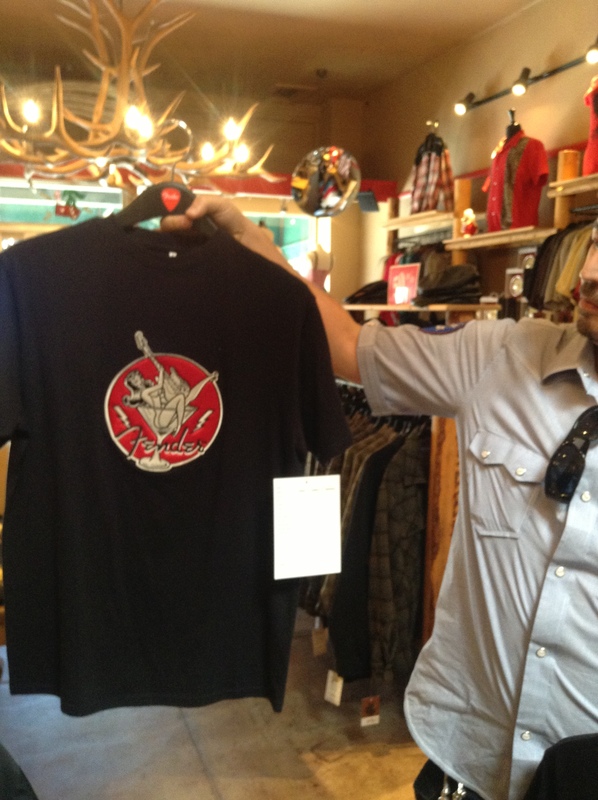 The collection is slated to hit Roadkill Ranch & Boutique in August and will be followed by a launch party. 1. The actual building where Leo Fender had his first guitar shop. 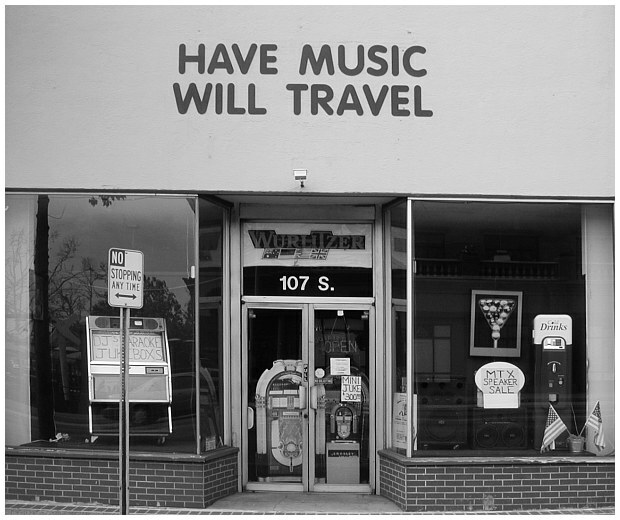 Located at 107 S. Spadra (before they changed the name to Harbor Blvd.). Note: this is not his actual business, just a picture of the building. 2. 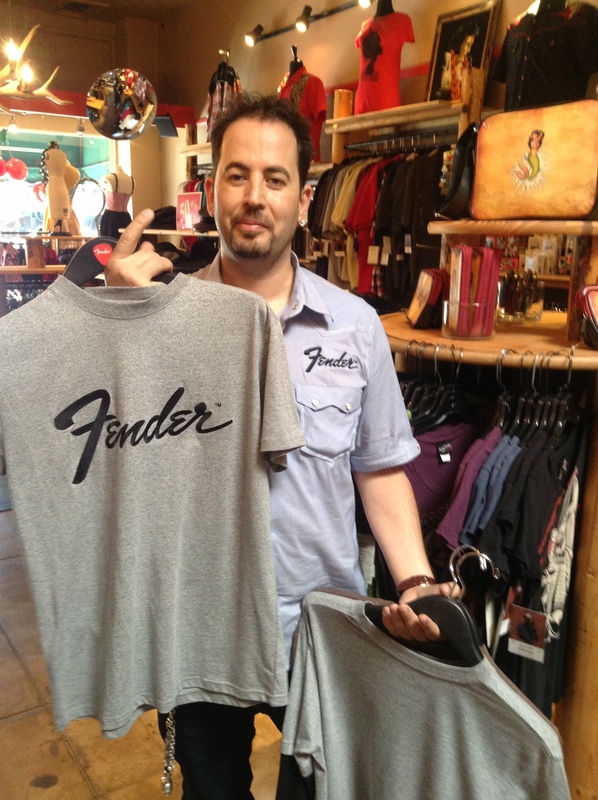 Eddie from Fender Clothing showing me the collection. 3. 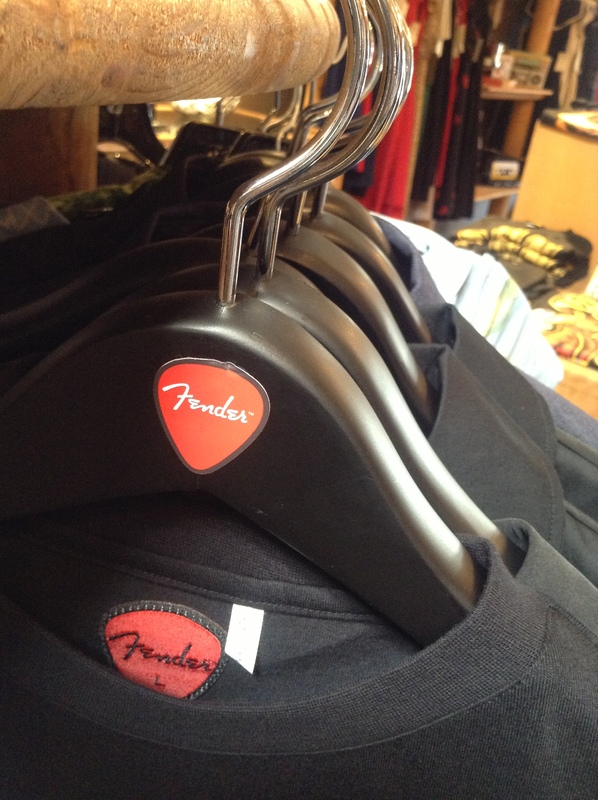 Fender Clothing at Roadkill Ranch. 5. 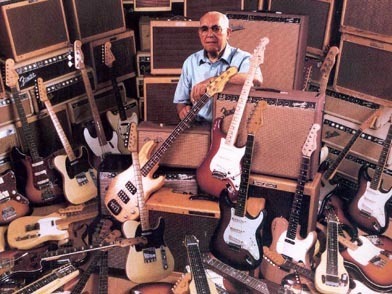 Old picture of Leo Fender surrounded by his guitars. 6. 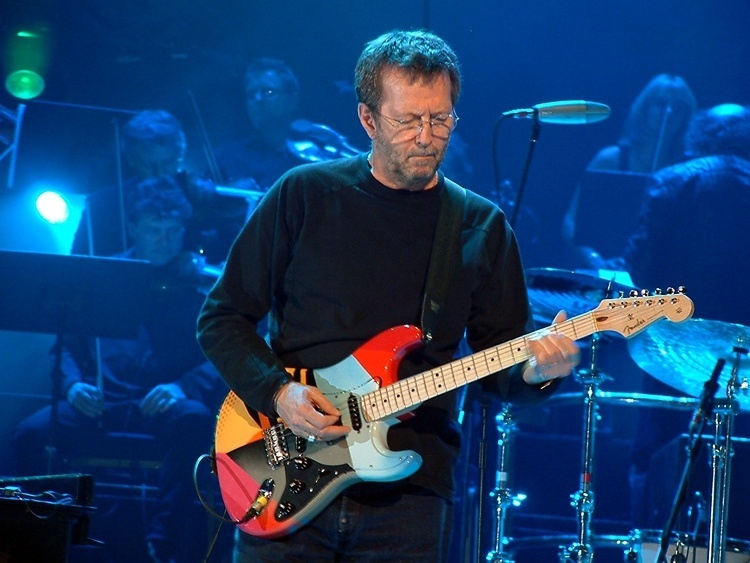 Eric Clapton performs only with Fender. Make sure to join us on Facebook under Roadkill Ranch and Instagram @ Roadkill_ranch for more info and upcoming events.